Onkyo to launch remote control app for iPhone in early 2011 | What Hi-Fi? The remote control app will work with Onkyo's upcoming range of network AV receivers, as well as many current and older network models, provided your receiver is connected to a wireless router via ethernet. The app will give you full functionality control on your portable, as well as incorporating gesture controls and allowing users to browse Internet radio stations and access connected NAS devices. 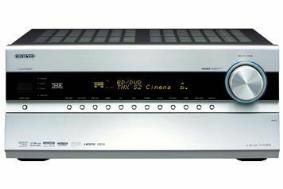 The list of compatible receivers includes all the upcoming receivers, as well as the current xxx8 series of AV receivers. The xxx7 series of receivers will also be compatible for some basic functions. Further details on the Onkyo Remote Control App for iPhone/iPod Touch will be released early in Q1 of 2011.